Gr.3 New Zealand Cup (3200m) aspirant Major Tom will have one more run in the C S Stevens Memorial Banks Peninsula Cup (2200m) at Motukarara on Sunday before he contests the two-mile Riccarton feature later this month. 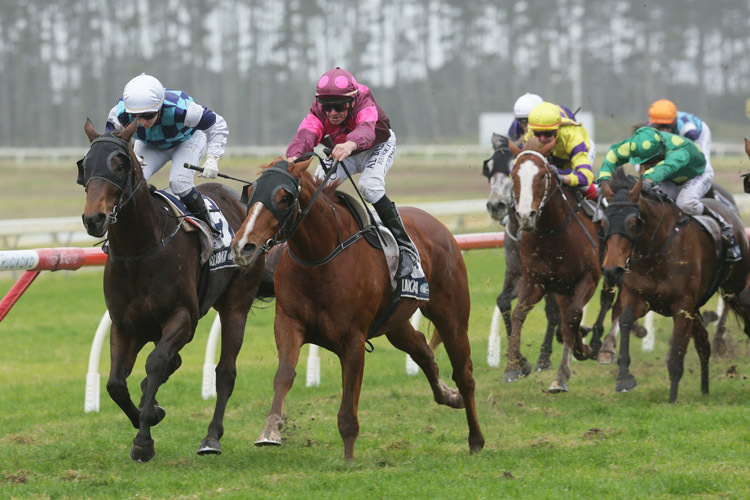 The Ken Rae and Krystal Williams-Tuhoro-trained runner has been in strong form of late, winning his last start over 1 5⁄16 m at Ashburton and placing in his two previous starts this spring. The five-year-old gelding will carry 138lbs and will jump from the outside barrier in the 10 horse field and his connections are taking a cautious approach into Sunday’s race. “I’d rather get that draw now than in two weeks’ time,” Rae said. “He won with 133lbs (last-start), so he should be competitive with 138lbs. “The Banks Peninsula Cup is really just another run for him heading into the New Zealand Cup, that’s why I didn’t claim on the weight. Rae said he was initially not going to bring Major Tom south, but after placing behind He’s Cavalier in the Ruakaka Cup (2200m) he was convinced by Michael Pitman and Noel Harris to aim him towards the New Zealand Cup. “He has actually been in work right through winter,” Rae said. “He wasn’t going to come down. “When he ran third behind He’s Cavalier, I thought the other horse wasn’t that good. But he’s come out and won on Wednesday and placed in a stakes race, so it’s better than I thought it was. Rae has taken six other horses south for the New Zealand Cup carnival, including Kaharau and Prom Queen, and he said they have all settled in well at their Prebbleton base. “Prom Queen is going straight to the Stewards and she is probably going to get in on the minimum weight,” Rae said.